These gorgeous Christmas knits are fun to make and are bound to be admired by friends and family. It’s never too early to start planning Christmas and well worth the effort to make handmade decorations and gifts. With her charming outfit and halo, this Christmas fairy will look delightful at the top of any tree. Whether you prefer a scented pine or a silver tinsel Christmas tree, she’s got just the right magic. How adorable is this jumper and hat? Snug for the cold weather and a real plum pudding of a design! 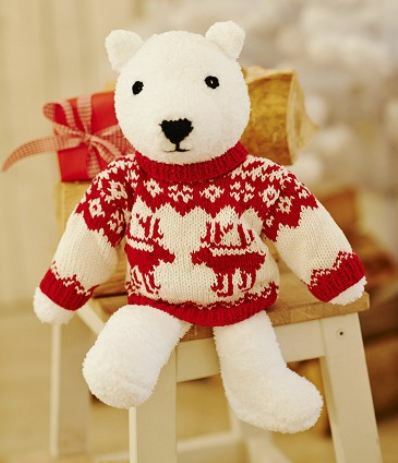 The floppy ears and sweet smile make this bunny a must-have seasonal project. Hop to it! A shepherd and three wise men gather around Mary, Joseph and Baby Jesus to welcome the Infant King. 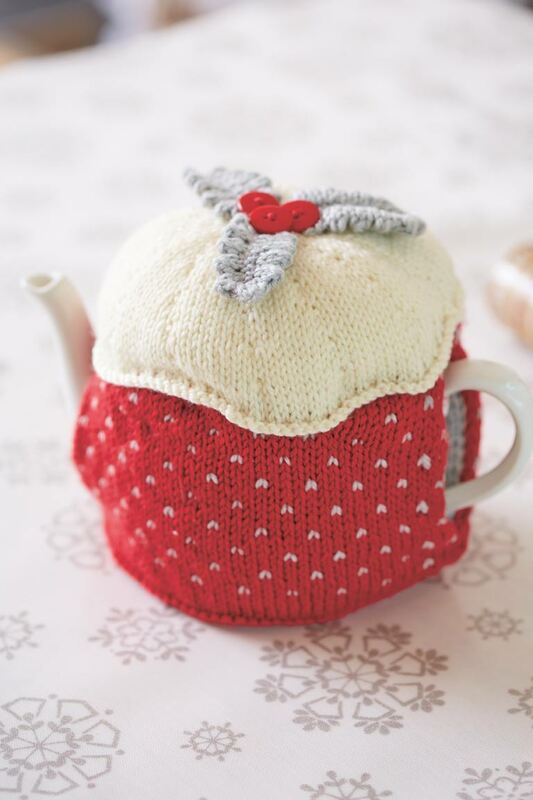 Keep your cuppa piping and your teapot looking festive with this cute cosy. Decorate your Christmas table with these perfect Christmas puds. A trio of toys every little boy and girl will love. With a simple yet effective design, this abstract Christmas tree promises to make a real festive style statement. A good knitting pattern for beginners to try, it’s made from three knitted triangles. This Nordic-inspired make will add a sophisticated touch to your Christmas decorations. Place in a frame and it makes the perfect seasonal gift for someone special. Every bear should be well dressed and this teddy is very stylish. 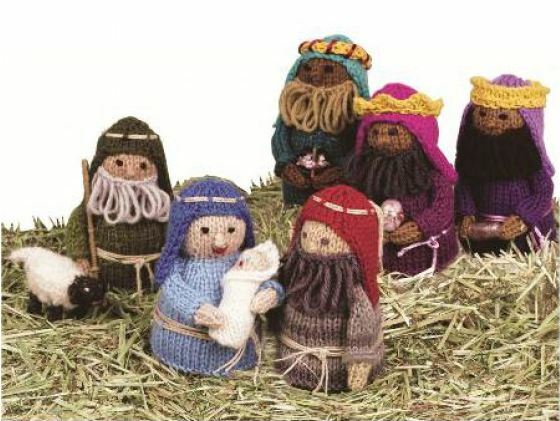 Order your Christmas knitting patterns by calling 0800 024 1212 and we will post them to you.